BEAUTIFUL AND LIKE NEW IS THIS ONE OWNER F-150 XLT SUPERCREW 4X4 WITH A CLEAN CARFAX! LOADED WITH EQUIPMENT AND THE LOOK YOU WANT, WITH 20" CHROME WHEELS, XLT CHROME PACKAGE, DUAL POWER HEATED SEATS, TWIN PANEL MOON ROOF, VOICE ACTIVATED NAVIGATION, REAR CAMERA, 3.55 ELECTRONIC LOCKING REAR AXLE, TRAILER TOW PACKAGE... 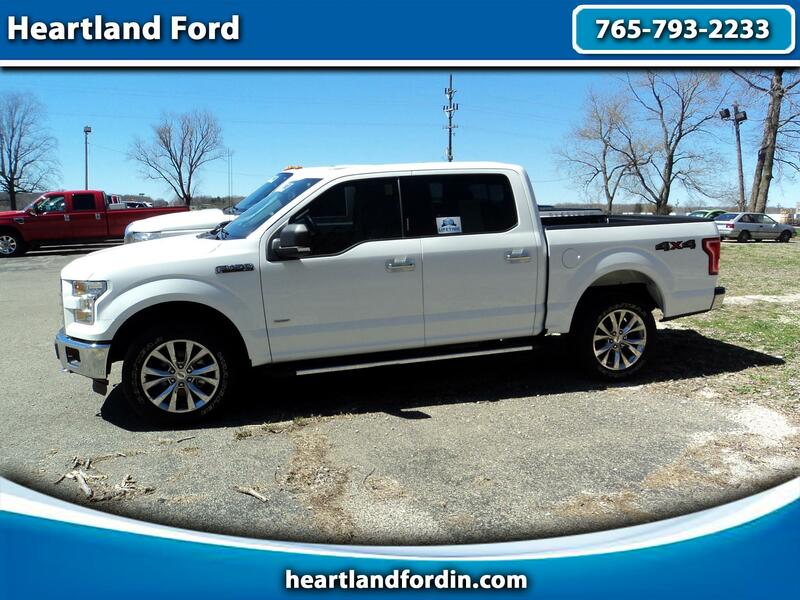 THIS GORGEOUS LOW MILE TRUCK ALSO INCLUDES OUR EXCLUSIVE HEARTLAND FORD LIFETIME LIMITED POWERTRAIN WARRANTY FOR YOUR LIFETIME OF WORRY FREE OWNERSHIP. STOP IN AND SEE THIS EXCEPTIONAL F-150 TODAY.